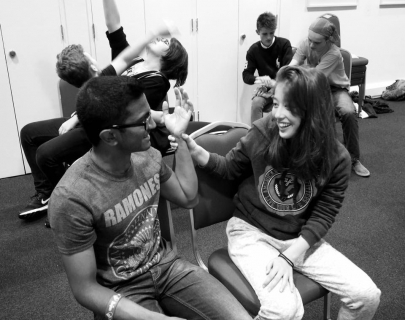 WAC Connections Company is Warwick Arts Centre’s most senior Youth Theatre group for young people aged 14-19. The group work towards the National Theatre’s Connections Festival choosing and performing a play written specifically for their age group at Warwick Arts Centre to friends and family. There is a second opportunity to perform as part of a weekend long festival which this year will be held between 27-29 April. This weekend is a residential and an opportunity to meet other youth theatre groups from across the region and receive guidance and workshops from National Theatre directors. The Senior Group attend on a Monday evening between 7.00pm and 9.00pm and occasional Saturdays/Sundays between 2pm and 6pm. The cost for The Connections Company is £75.00 per term, one due in the Autumn term and the other in the Spring term ( £150 for the full year) to be paid via Box Office.